A record by Big Bill Broonzy was the first blues record I purchased. I got it in the spring of 1960 at my local music store in Ealing in West London where I grew up. Bill’s record was in the Folk Music section, alongside Pete Seeger, Sonny Terry and Brownie McGhee, Leadbelly and possibly Joan Baez. I listened to these other artists a year later. Bill had toured in Europe quite a bit, and was a well-known name to me. I loved his voice, his guitar playing and his handsome face. I was 15 years old, and had been playing guitar for four years. It wasn’t until two years later that I discovered that in Ealing we were lucky enough to have The Ealing Club, a crypt-like basement where Alexis Korner and Cyril Davies regularly performed (as did the fledgling Rolling Stones a little later)—they had met and worked with Big Bill a few times, and played some of his songs. I always felt close to Big Bill. He was my first Blues crush. I felt I had sat at his feet. If I were to allow my heart to tell the tale, I would say that I had actually sat at his feet, and had heard the pain and joy of his life firsthand through his wonderful songs. Bob Riesman’s book makes quite a bit of the way Big Bill reinvented himself, and possibly invented much of his past in a creative manner. I’m not known for my love of facts either. If a Blues, R&B or rock ’n’ roll career life-story is worth telling, it’s worth dressing up. I’m not an academic biographer. Riesman is that, and he gets close to the real truth about Big Bill’s life, but does so in a generous and non-judgemental way that actually deepens the impact and power of everything Bill did as a creative artist and musician who reserved the right to gild the lily. In particular, Bill’s family life, his years doing rough work, and his ability to reflect the stories and experiences of his contemporaries, all combine in this book to bring the terrible racial events and atrocities of those times back into relevance as historical facts rather than blues hearsay. We’ve heard the songs, we’ve seen the face, we may even have listened to Big Bill himself telling interviewers like Alan Lomax how it really was, in his own inimitable and creative way. This book sets Bill’s extraordinary life and career in meticulously researched perspective. This giant of man—Big Bill Broonzy—deserves such a book, and Riesman is clearly the right man for the job. His affection for his subject is as evident as his respect. This is a compelling historical biography of an artist who sang right at the beginning of a musical era that later included rock ’n’ roll. If rock ’n’ roll and all its recent spawn can in any sense be regarded as art, or carries any social meaning, or transmits reflective or historical relevance to those who love it, this book will help to explain why. Back before it all caught fire, we heard Big Bill, and we knew that music could tell the truth as well as entertain. 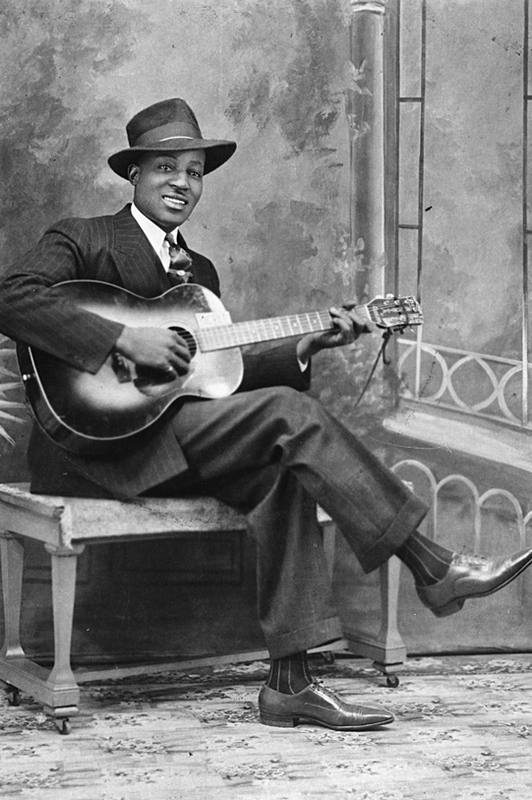 Riesman makes it clear that such music might not relate the facts, but he never for a second doubts that Big Bill Broonzy knew the truth, even if he couldn’t resist dressing it up sometimes. I Feel So Good is the definitive account of Bill Brooonzy’s life and music and features many rarely seen photos. Read more about the book. The author, Bob Riesman, is also co-editor of Chicago Folk: Images of the Sixties Music Scene: The Photographs of Raeburn Flerlage. He produced and co-wrote the television documentary American Roots Music: Chicago, and was a contributor to Routledge’s Encyclopedia of the Blues. He will be appearing at a number of events for the book. Cloth $27.50 ISBN: 9780226717456 • Buy print book at 20% discount. E-book edition is forthcoming on our website and from other e-book sources. For information on purchasing the book—from bookstores or here online—please go to the webpage for I Feel So Good: The Life and Times of Big Bill Broonzy.